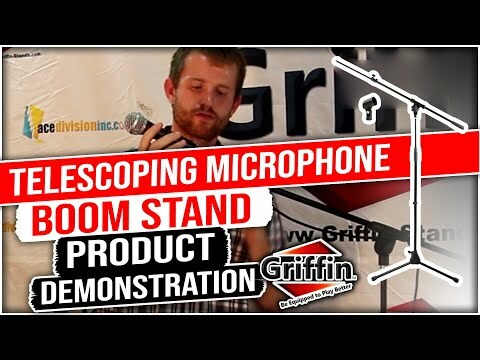 Telescoping Microphone Stand by Griffin | Boom Arm Tripod Style | Ace Division Inc. Stable, tough, and affordable, the tripod microphone boom stand extends up and over in order to provide a microphone close to the performer with the straight bar distanced away making it ideal for performers. 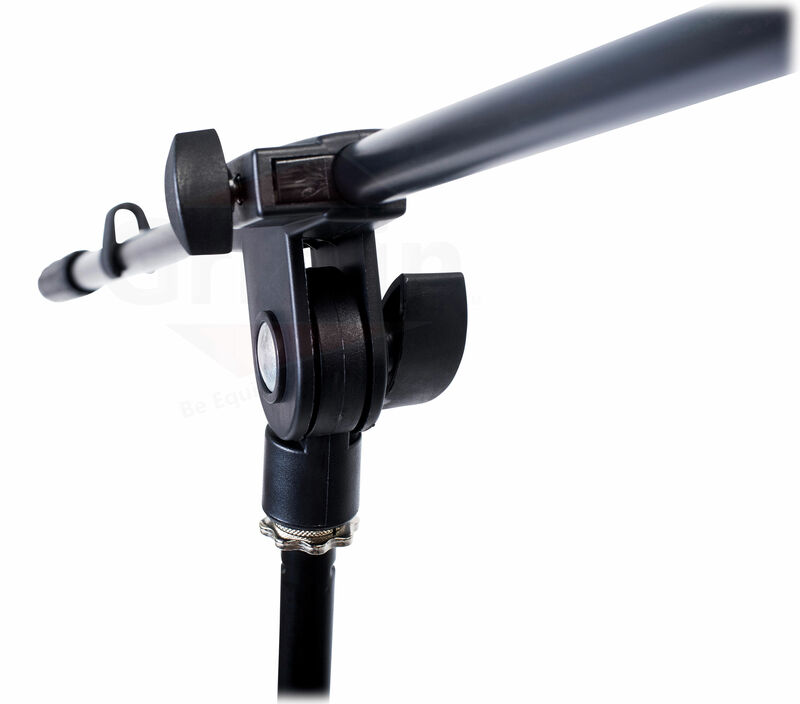 Attach any standard sized microphone clip to the boom arm of this telescoping mic boom stand. Stable, tough, and affordable, the tripod microphone boom stand extends up and over in order to provide a microphone close to the performer with the straight bar distanced away making it ideal for performers. 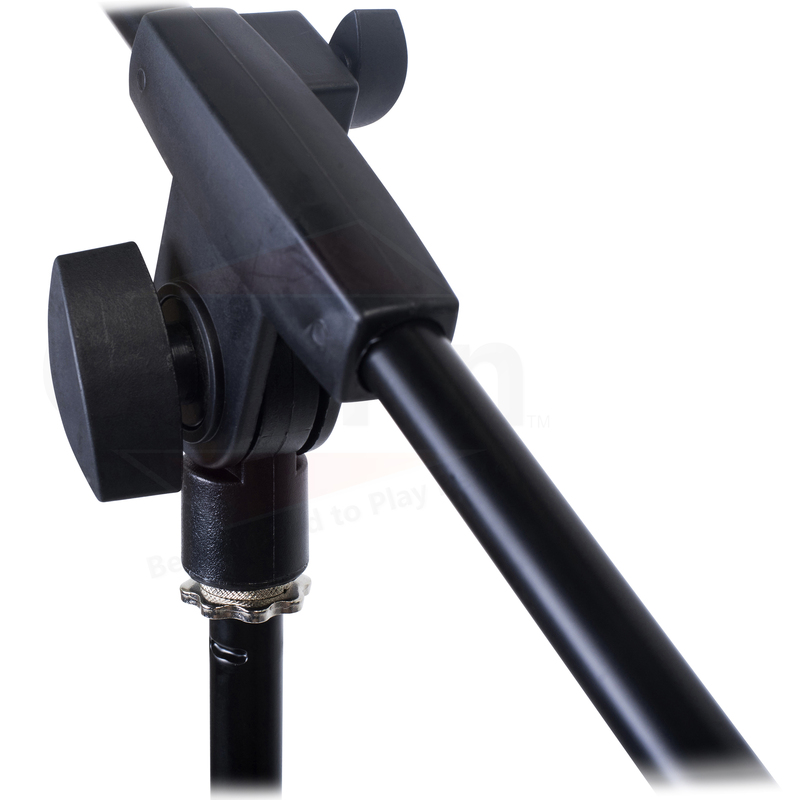 Attach any standard sized microphone clip to the boom arm of this telescoping mic boom stand. Rubber rest pads on the stand’s feet hold the tripod microphone stand firmly in place. 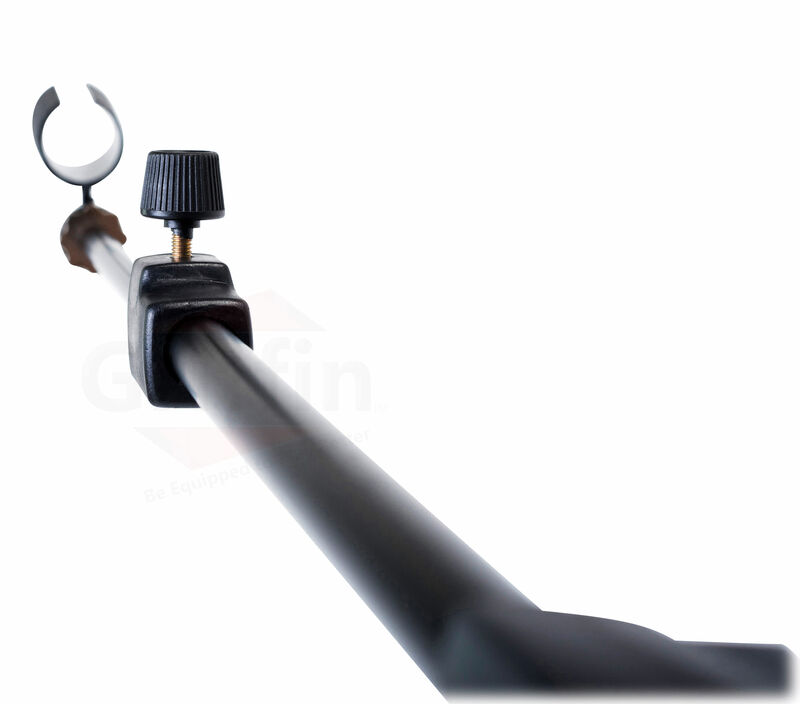 With the boom arm in place, the boom microphone stand reaches a maximum height of 99 inches. Have a sudden need for a straight stand? Remove the boom arm to reveal a straight microphone stand with an adjustable height from 27 inches to 62 inches, conforming to every musician’s personal preference. This boom mic stand features three legs that retract and fold up to a neat package allowing for ultimate portability, steel tubing construction, and one microphone clip is included with every telescoping microphone stand. 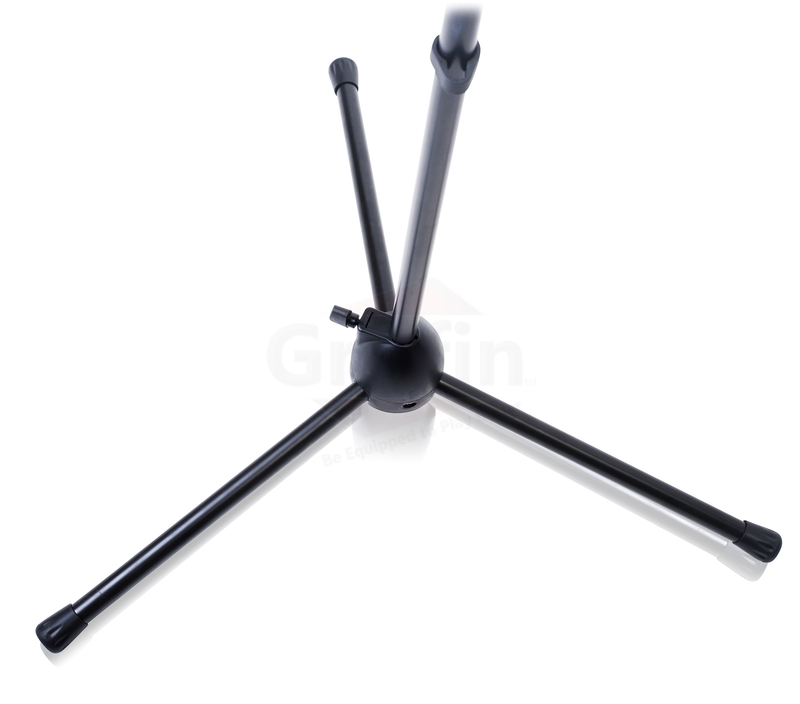 We encourage you to compare this microphone tripod stand to other tripod microphone boom stands online. This boom mic stand is sturdy and durable. 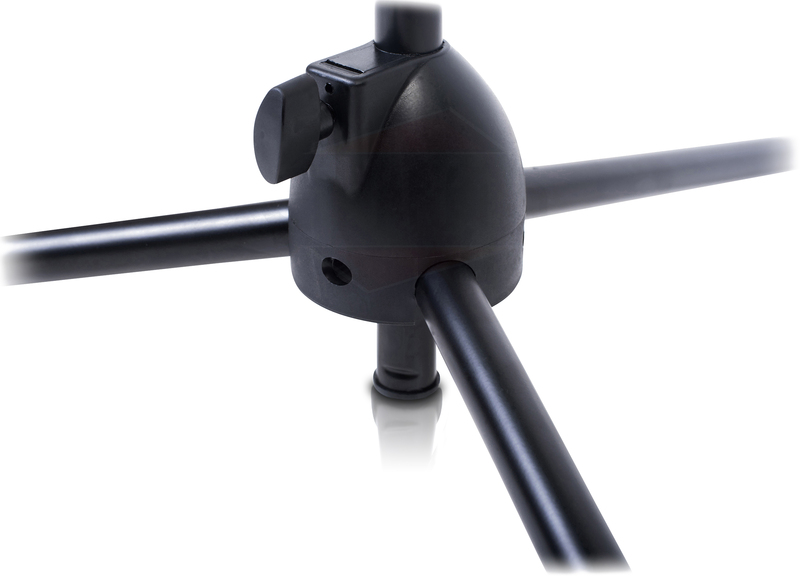 If you shop around, you will realize we offer the lowest price for quality boom microphone stands. 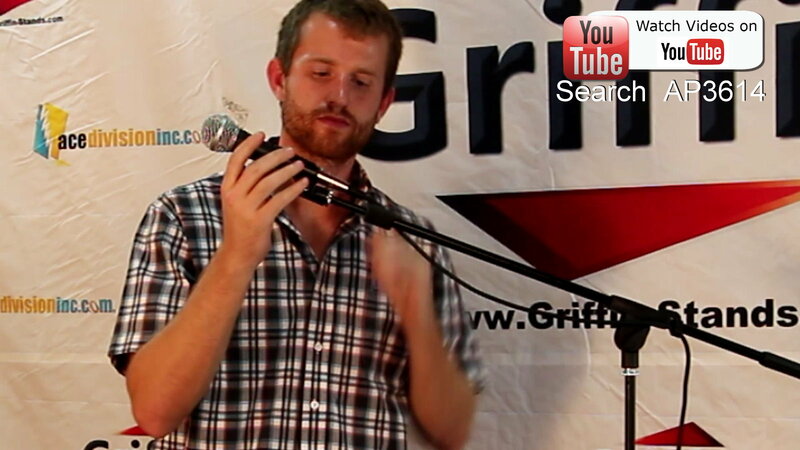 Try finding another tripod microphone stand able to work this hard for you at such a cheap price; it cannot be done! 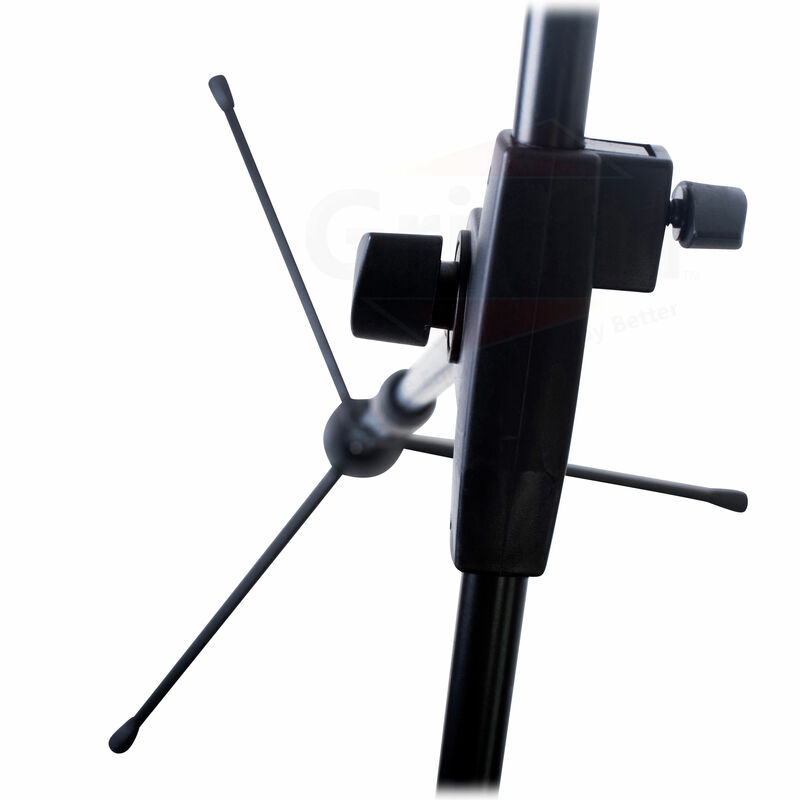 We offer the lowest price for quality telescoping mic boom stands. 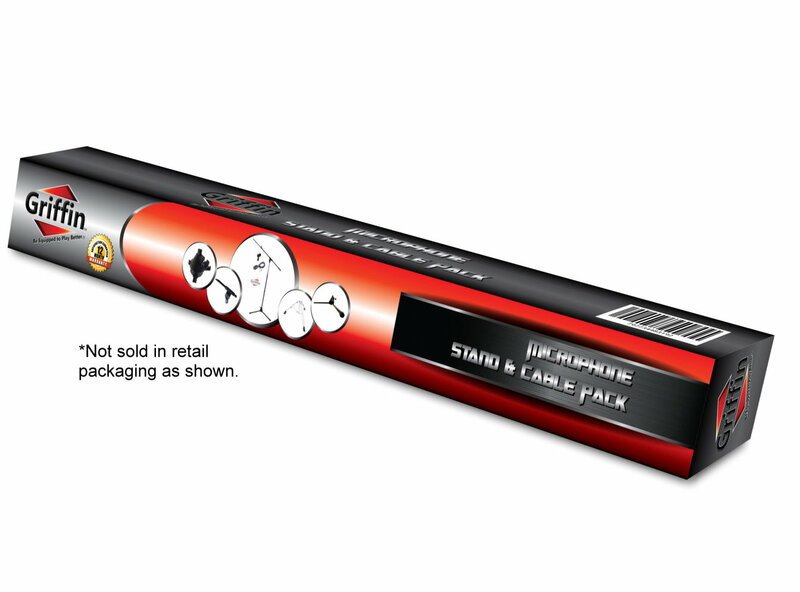 Buy today with peace of mind knowing you are getting the lowest price possible for this quality telescoping microphone stand. BUY WITH CONFIDENCE: Being so sure about the top quality and excellent performance of our stand mic, we are able to offer you a 1 year replacement warranty, as well as a 30 day money back guarantee of complete satisfaction for your peace of mind. 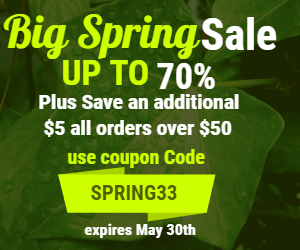 With nothing to lose, place your order today! 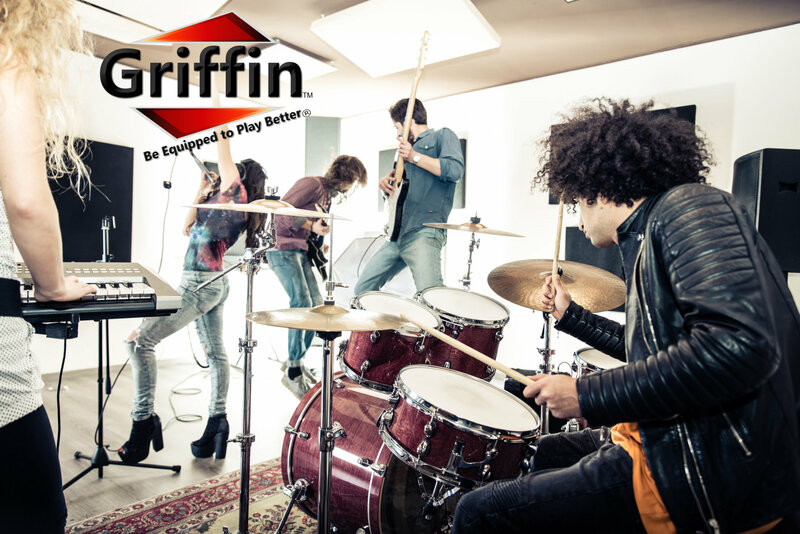 The Griffin Company strives for ultimate customer satisfaction and aims to provide high quality products at affordable prices. 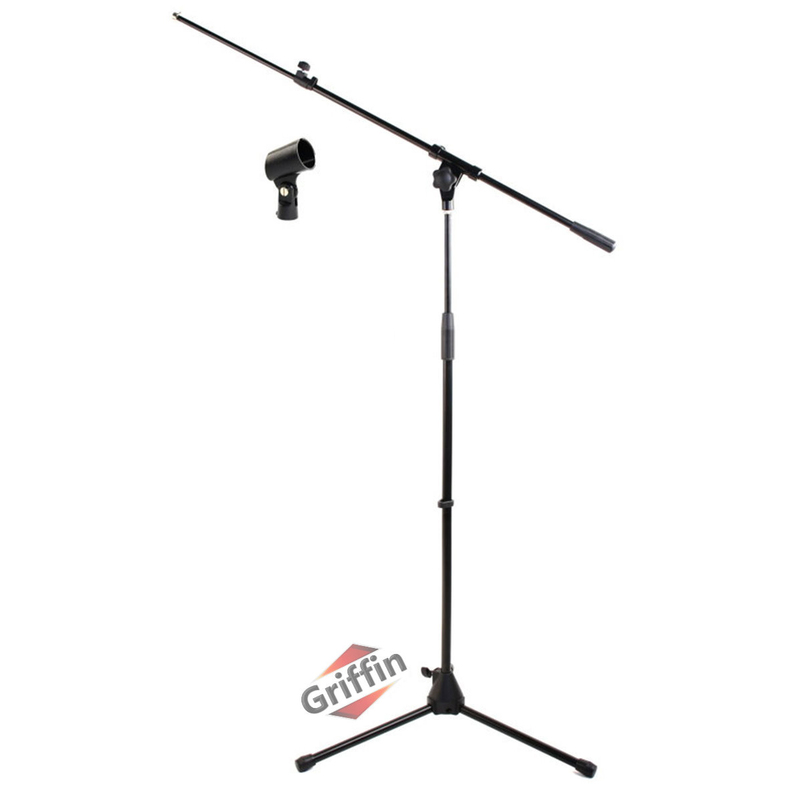 These Griffin telescoping microphone stands can be used for your microphone mounting needs. 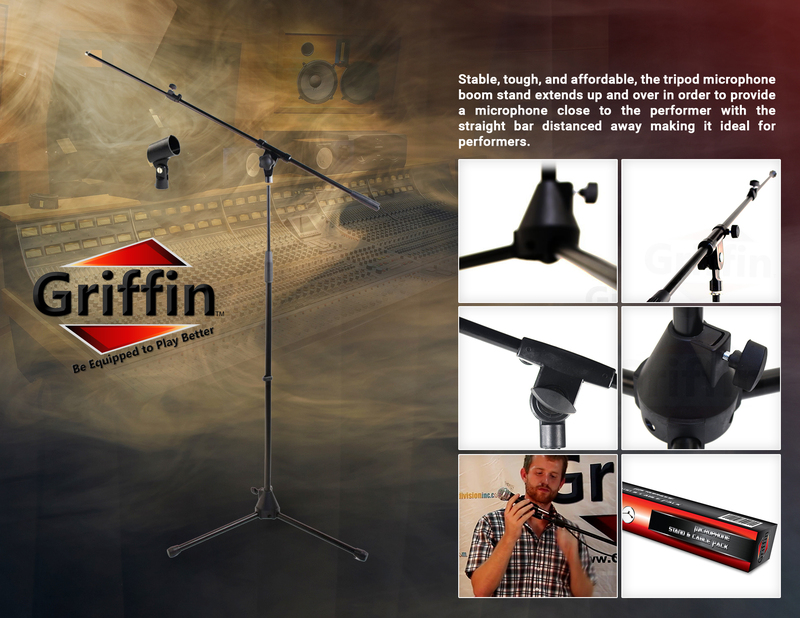 Griffin microphone tripod stands are built to be strong, long-lasting, versatile and so durable that the hard-working musician can use them for years to come in numerous situations throughout his career.